PVC Vertical Compounding Mixers are able to perform even mixture for large volume of materials in short mixing time by utilizing the paddles rotation to gather the material from the bottom of dump center to the top, shed the material flow back to the bottom and complete the mixing function in short period of time. 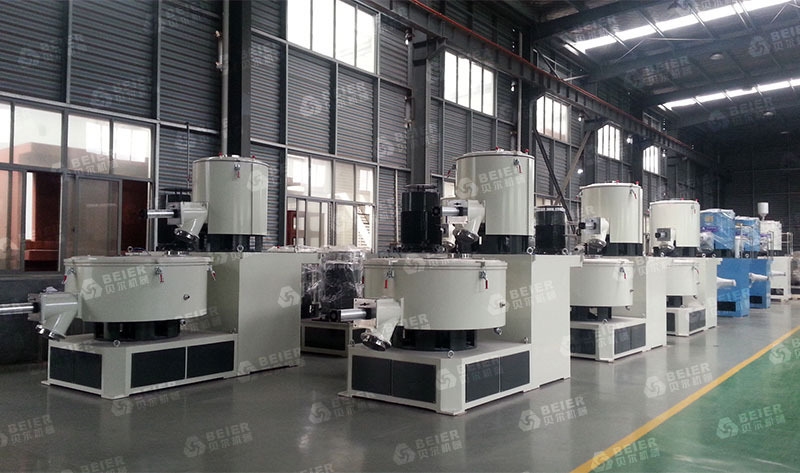 PVC Vertical Compounding Mixer is widely used in mixing, drying, coloring for all kinds of resin such as PVC, PP, PE. They can also be applied in dryness of ABS, polycarbonate, and mixing hydroxybenzene, Alde Hyde resin.